Last week I was at ClubHack 2011 - a hacking & security conference in Pune. This was my first event after I got membership callfrom ClubHack core founders Rohit Srivastwa, Varun Hirve, Abhijeet Patil & Pankit Thakkar. ClubHack 2011 was very spacial as this time technical briefings were very interesting. Android & Facebook are the two technologies which are mostly used by tech geeks on daily basis. But most of the people not aware of vulnerabilities in these technologies. 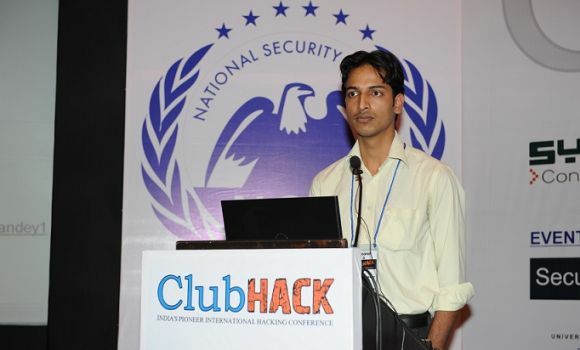 Last year we attended to educate people through our 'First Indian Hacking Magazine' - ClubHack Magazine. We called for papers for ClubHack 2011 backing in mind to spread awareness about Android & Facebook and fortunately we received many technical papers.